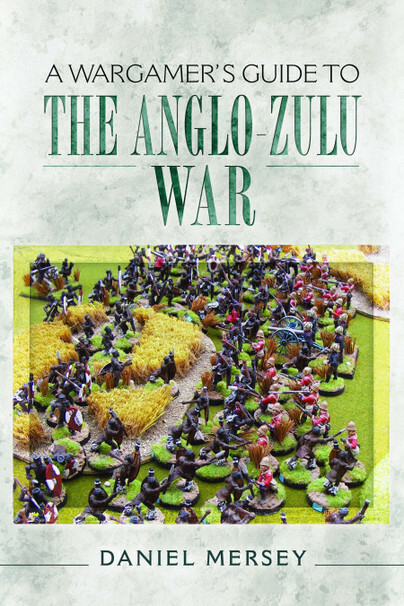 You'll be £12.99 closer to your next £10.00 credit when you purchase A Wargamer's Guide to The Anglo-Zulu War. What's this? This is one of the first titles in an exciting new series of guides for wargamers. Taking one of the most pivotal and famous episodes in British military history, it gives a wargamers perspective of the dramatic events of the Anglo-Zulu War of 1879 (and the aftermath up to 1889) and offers advice on how to recreate these on the gaming table. Daniel Mersey discusses factors to consider when choosing an appropriate set of commercially available rules, or devising your own, to best suit the scale and style of battle you want and to capture the flavour of the period. The relevant ranges of figures and terrain pieces and buildings are also reviewed. Analysis of the forces involved, organization, tactics and strategies will help with building your armies and there are interesting scenarios included. Whether this is a new period for you, or you are looking to refresh your existing interest in the period, this handy guide is sure to hold much if interest for you. This is the fourth book of the wargamers guide series. Like the others it is very well researched and laid out. Its easy to read and very much sticks to the subject matter. I'm impressed by the writing skill of the author in the way he can convey information to the reader without flogging a thesaurus to death. As with the others in the series the reader is given a run down of the whole situation, then a discussion of the collecting of wargames armies, manufacturers that provide figures, and then a break down of the rules available. All these comments are, I feel, very fair and honest with regard the quality of figures and the standard of rules. I rate it highly among the four in the series because I found it even more enjoyable to read than the others, even though I do not wargame that era nor study it often. Given what it does contain, particularly the huge amount of wargame friendly data in the second chapter, the book is an excellent investment and time saver to boot. It didn’t capture the gold, but trust me, silver isn’t bad. Highly recommended. This new series surely holds great promise for war gamers. Once again – highly recommended. A Wargamer’s Guide to The Anglo-Zulu War is a soon to be released book from Daniel Mersey and to be published by Pen and Sword Books. Since the guys over at BoW HQ had a terrific game of Rorke’s Drift recently, I only thought it was appropriate to mention this book. This book will dive into this time period and the actions that surrounded this conflict. There is a discussion on the makeup of the forces and battles and how to translate them to your game. There is even information on current ranges of miniatures and terrain that is available to bring your games to life. This book is not a set of rules for playing a game, but a resource to help you choose the right set of rules for you based on the game you would like to play big battles like Isandlwana or skirmishes. It will serve as a great reference for anyone looking to start in the Anglo-Zulu War as well. It will be available on March 30, 2017, and is up for pre-order now at Pen and Sword.